Is your pet getting older? Like people, individual dogs and cats age differently. Being alert to changes can help both you and your pet make these the best of times. So when is a pet considered a senior? Generally, smaller breeds of dogs live longer than larger breeds, and cats live longer than dogs. Beyond that, the life span will vary with each individual, and your veterinarian will be able to help you determine what stage of life your furry friend is in. Keep in mind that some small dog breeds may be considered senior at 10-13 years, while giant breeds are classified as seniors at ages as young as five. Scheduling regular veterinary examinations is one of the most important steps pet owners can take to keep their pets in tip-top shape. When dogs and cats enter the senior years, these health examinations are more important than ever. Senior care, which starts with the regular veterinary exam, is needed to catch and delay the onset or progress of disease and for the early detection of problems such as organ failure and osteoarthritis. AAHA recommends that healthy senior dogs and cats visit the veterinarian every six months for a complete exam and laboratory testing. Keep in mind that every year for a dog or cat is equivalent to 5–7 human years. To stay current with your senior pet’s health care, twice-a-year exams are a must. Since pets can’t talk, veterinarians depend on laboratory results to help them understand the status of your pet’s health. Changes in these test results, even in the outwardly healthy animal, may signal the presence of an underlying disease. 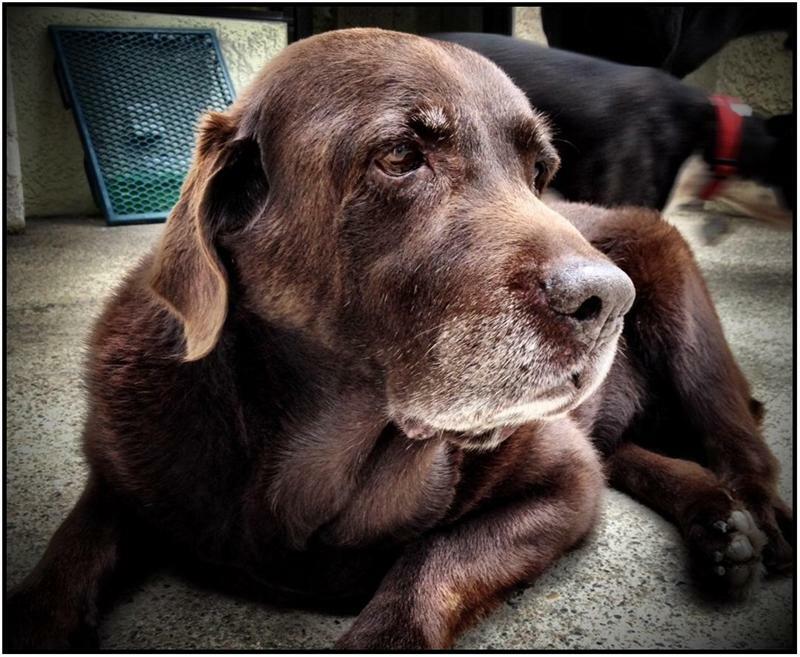 With the senior years comes a general “slowing down” in pets. As their major senses dull, you may find that your pet has a slower response to general external stimuli. This loss of sensory perception often is a slow, progressive process, and it may even escape your notice. The best remedy for gradual sensory reduction is to keep your pet active—playing and training are excellent ways to keep their senses sharp. Pets may also be affected mentally as they age. Just as aging humans begin to forget things and are more susceptible to mental conditions, your aging animals may also begin to confront age-related cognitive and behavior changes. Regular senior health exams can help catch and treat these problems before they control your pet’s life. The physical changes your pets experience are generally easier to spot than the sensory changes. As the body ages, its ability to respond to infection is reduced, and the healing process takes longer. Therefore, it is crucial to consult a veterinarian if you notice a significant change in behavior or the physical condition of your pet. Many of the signs indicating that animals are approaching senior citizenship are the same for both cats and dogs, but they can indicate a variety of different problems. A very common and frustrating problem for aging pets is inappropriate elimination. The kidneys are one of the most common organ systems to wear out on a cat or dog, and as age affects the function of the kidneys, your once well-behaved pet may have trouble controlling his bathroom habit. Obesity in pets is often the result of reduced exercise and overfeeding and is a risk factor for problems such as heart disease, arthritis and skin conditions. Because older pets often have different nutritional requirements, talk to your veterinarian about your pet’s diet. Exercise is yet another aspect of preventive geriatric care for your pets. You should definitely keep them mobile as they get older—if they are cooped up or kept lying down, their bodies will deteriorate much more quickly. You may want to ease up a bit on the exercise with an arthritic or debilitated cat or dog. Otherwise, you should keep them as active—mentally and physically—as possible in order to keep them sharp. Pets experience pain just like humans do, and AAHA recommends veterinarians take steps to identify, prevent, and minimize pain in all senior dogs and cats. The different types of pain include acute pain, which comes on suddenly as a result of an injury, surgery, or an infection, and chronic pain, which is long lasting and usually develops slowly (such as arthritis). You can play a key role in monitoring your pet to determine whether he suffers from pain.